When Prince William, 13, said he had a crush on Cindy Crawford, his mum Diana invited the supermodel to join them for tea. Crawford fulfilled William's dream when she came to the palace on Easter in 1996. At 15, Prince William ranked No. 1 on the men's list in the annual International Best-Dressed Poll. Nicknames over the years have included Wills, Billy, Wombat, His Naughtiness & P-Willy. Prince William was born at St. Mary's Hospital in Paddington London to parents Prince Charles and Princess Diana. He was born at 9.03pm and he weighed 7lbs and 5 ounces. Prince William is taken on a royal tour to Australia and New Zealand by his parents. Prince William leaves Wetherby School in London to attend Ludgrove School in Berkshire. Prince William Leaves Ludgrove School in Berkshire to attend Eton College. Princess Diana tragically killed in a road traffic accident in Paris. Prince William enrolled at the University of St Andrews. Prince William and Kate Middleton begin dating. Prince William graduates in Geography from St Andrews University and goes on his first solo overseas tour to New Zealand. Prince William attends Sandhurst Military Academy. Prince William is commissioned as an army officer at Sandhurst Military Academy. Prince William transfers his commission to the RAF and was promoted to Flight Lieutenant. Prince William graduates from the Defence Helicopter Flying School at RAF Shawbury where he then transferred to the Search and Rescue Training Unit at RAF Valley on Anglesey. Prince William graduates his training course on the Sea King search and rescue helicopter at RAF Valley. The prince will remain at RAF Valley for his operational tour. Clarence House announces that Prince William and Kate Middleton are to marry. 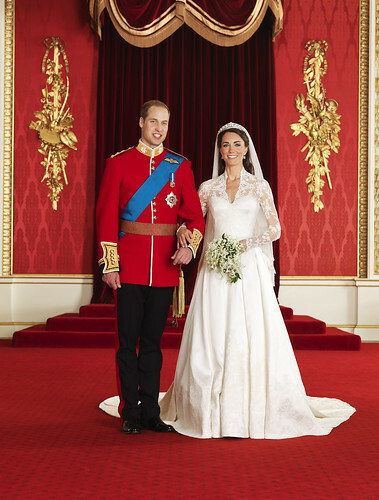 It was announced that the royal wedding would take place on 29th April 2011 at Westminster Abbey.